New product releases from Apple are always the source of much buzz, and the company’s new iPad is no exception. The updated version has a few marked improvements over the previous one, and Apple continues to hold a dominant place in the tablet computer market. But lest you think tablets are still just toys for personal entertainment, the new iPad can certainly fit into your work life, too. Through the benefits offered by improved specs or the addition of adjunct programs from the App Store, the iPad has the flexibility to serve many industries. Here are some of the ways you can integrate the new iPad into your business. The upgrade getting the most buzz with the new iPad is the “Retina” display with a screen resolution of 2,048 x 1,536 pixels. This means good things for business on two levels. First, the day-in, day-out use of the device will literally be easier on the eyes. The display offers better text readability and richer image quality. Second, the high resolution provides your company new opportunities to use more visually based applications, especially in your interactions with customers. 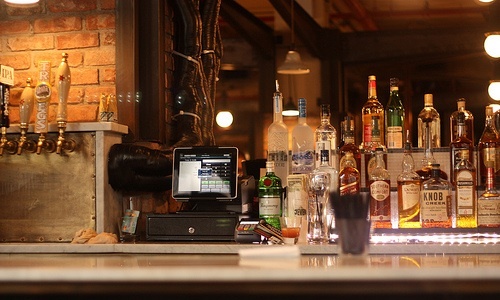 For example, some restaurants have started rolling out interactive systems for menus and ordering that allow consumers to get a close look at dishes before making their choices. Even if you aren’t interested in developing a unique business app in-house, then just think of how much more convincing your visual presentations to clients will look on the super-sleek device. The sky’s the limit! The other important metric for businesses is the addition of 4G LTE data plan capability. It’s especially useful on the Verizon network, which has wider coverage at this point, but other providers also have this option. One application of this faster data plan is for business travelers. Workers who are frequently on the road can stay in touch with headquarters while on the go and can quickly access large files. Another possible application of the fast data plan is for companies that manage large numbers of people across great distances. For example, tablets have seen fast adoption in the health care industry since they can travel with doctors and can hold electronic health records for many patients. With the new iPad, doctors can use apps like FaceTime to discuss care without being in the same room, or even in the same hospital, as their patients. The faster data plan, along with the Retina display, means improved video conferencing options that can be used in common daily situations. 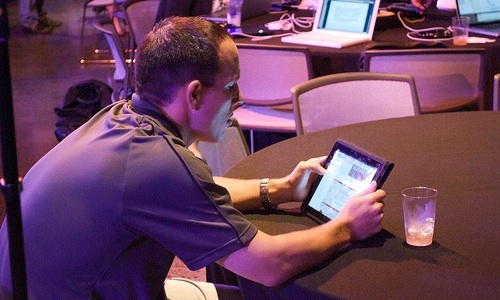 For any business that needs to manage data related to scheduling or appointments, the new iPad can be a valuable asset. Apple Stores demonstrate one way to put the device to good use at their Genius Bars. 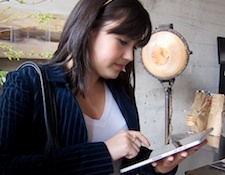 When a customer walks up, an employee equipped with an iPad will set up his or her appointment. Any business that handles a large number of appointments, from beauty salons to dental clinics, can benefit from this approach. There are several other industries where the ability to look up data on the go can be useful. Interior designers or construction workers could check a store’s inventory while on-site to find any items they need, cutting down on the number of shopping trips. 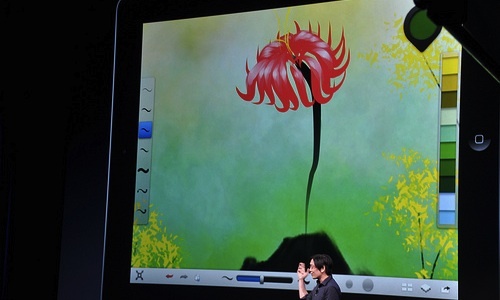 Sales workers can use the iPads to show customers comparisons of product features. No matter what industry you’re in, there’s almost always a situation where you’ll need to obtain information while you’re out of the office. The new iPad’s specs make it a more useful option than a smartphone or a laptop. For this function, you’ll need to make a visit to the App Store, but the additional flexibility will likely be worth the investment. With a little bit of prep work, you can set up your tablet to connect to several other devices that can help make your tasks easier, faster, or just plain cooler. The most visually engaging option is to make your new iPad a second monitor for a desktop computer. 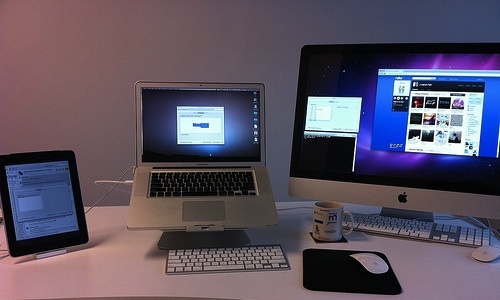 For example, Air Display from Avatron Software lets you wirelessly connect to a Mac or Windows desktop. 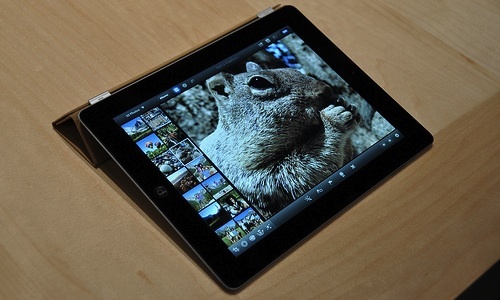 That means you can combine all the computing power of a desktop with the mobility of a tablet. Apps can also link your tablet to a printer. The device doesn’t have ports for cable connections, so getting a physical copy of any document on an iPad would have previously required sending it to a laptop or desktop and printing from there. PrintCentral from EuroSmartz is one option for syncing and printing your documents. Payment systems have evolved far beyond a clunky cash register. Again, this will require spending some money at the App Store or at a third-party company such as Square or Dwolla, but once you make those initial investments, you’ll have be able to conduct your transactions with a lower overhead cost. You’re no longer tied to a counter or a desk when using the iPad as your point-of-sale, so you can conduct transactions anywhere in or out of your workplace. You can have multiple cashiers move through a line rather than make the line wait for the cashiers. And consider how flexible your payments can be in situations where customers are spread far apart, such as patrons at a restaurant or clients awaiting deliveries. The best part of using the new iPad for checkouts is that when it isn’t being used as a cash register, you still have a tablet at your disposal and can take advantage of all the benefits discussed here. What do you think about using the new iPad for work? Let us know in the comments!